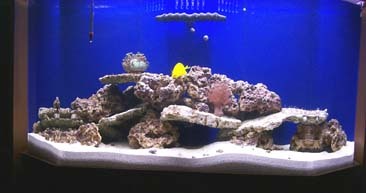 85 gallon salt water aquarium. The sand had been added. The filter system is off. After the pumps were started, the water cleared. Large life has been added. And the fish thinks "Mine. Mine! All MINE!" 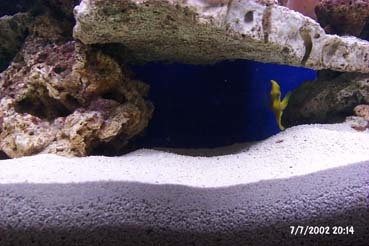 Under the yellow fish, there is a "cave" that has been taken over by the Coral Banded Shrimp. It has two big pinchers and 4 smaller ones. It has done a number on one starfish. 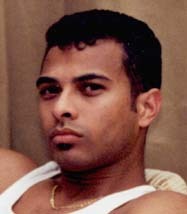 Two of it's tentacles have been removed at the body. Two other are only 1/2 inch long and a "tail" is 1.25 inches. It finally decided to get out of the way and move to the left side. It will be interesting to see if it survives. The original length was about 4 inches each. NOTICE: PLEASE FOLLOW THIS PROCEDURE EXACTLY! WE HAVE DESIGNED IT TO HELP YOU. IF YOU KNOW THE DRIP METHOD, USE IT INSTEAD OF THE FOLLOWING PROCEDURE. Don't rush this process but don't take too long. Be patient, but expedient, and please follow the directions! Our #1 priority is to gain you as a life-long customer, so please email us if you have any questions while performing the acclimation process. 1: Don't open the box in a lit area, find a dimly lit area or dark area to open your box. 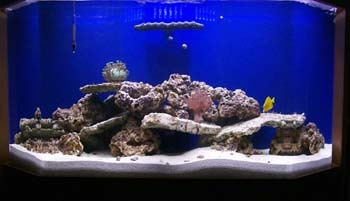 Keep the lights in the room low and make sure the AQUARIUM LIGHTS ARE TURNED OFF. 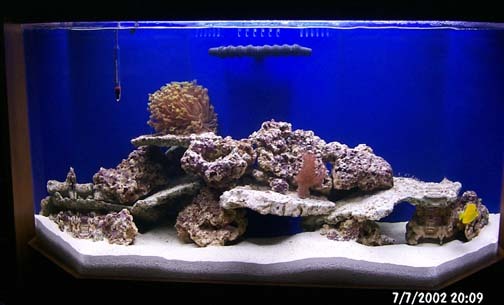 The darkness will help keep the fish, coral, or invert relaxed. 2: Float the bags in the aquarium for 20-25 minutes to allow the temperature in the bag to equal the temperature in your aquarium. You DO NOT have to float all of the bags that came in the box at the same time. A few at a time is ok. Be sure the level in the aquarium or sump does not overflow. 3: Remove the rubber band. Lift the bag in the water, keeping it slightly submerged and trickle one ounce(using a shot glass is a good measuring tool) of your aquarium water into the bag. Float bag again for 2-3 minutes. Trickle another ounce of tank water into the bag. Wait another 2-3 minutes. Keep doing this until the amount of water in the bag has doubled. Don't get upset if your new pet is getting upset. 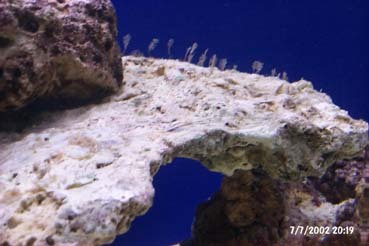 Some fish and inverts will get very agitated and will look like they just need to be thrown into the aquarium. DON'T DO IT! They will likely settle down soon and releasing them early will increase their chances of dying. Continue to follow the Acclimation Procedure! 4: Now you need to discard 1/2 of the water from the bag into a sink or bucket, anywhere but back into the aquarium. DO NOT EVER POUR WATER FROM THE BAG INTO YOUR AQUARIUM. 5: Repeat STEP #3 until the water has doubled again. 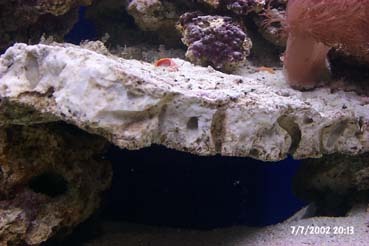 6: Remove the specimen from the bag and place it in your aquarium. NOTE: If you have ordered more than one specimen be sure to NEVER mix the water from the different bags. In other words, never try to save time by pouring all of the specimens into one big bag or bucket. Specimens are kept in different water conditions and mixing the water. could stress the specimen. 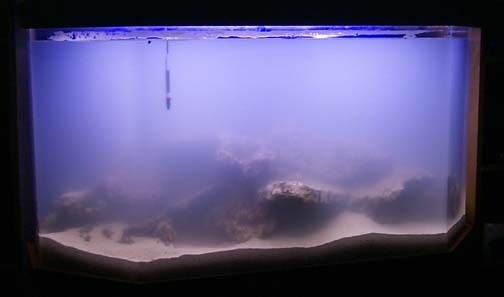 VERY IMPORTANT: KEEP AQUARIUM LIGHTS OFF FOR AT LEAST THREE HOURS AFTER YOU PLACE THE SPECIMEN INTO YOUR TANK. IF FISH OR INVERT IS NOT MOVING, LEAVE IT ALONE. 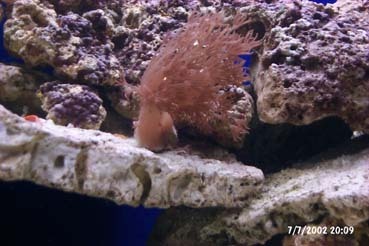 IT SOMETIMES TAKES TIME FOR A FISH OR INVERT TO RECOVER IF IT IS IN SHOCK. DON'T PUSH IT AROUND TRYING TO GET IT TO SWIM. LEAVE IT ALONE FOR AT LEAST 24 HOURS! 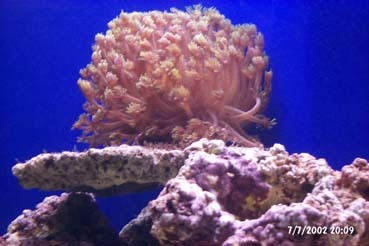 CORALS MAY TAKE UP TO FIVE DAYS TO EXPAND OR OPEN.